DNA stands for deoxyribonucleic acid and contains all the genetic information that makes up an organism. Every cell in the body has same exact copy of DNA.DNA is located in the nucleus of the cell and it can also be found in small quantities in the mitochondria. DNA is found in all living organisms and is needed life. No two people on Earth will have the same exact DNA. Twins are the closest match and even they have some variation within their genetic makeup. The first scientist to study DNA was Frederich Miescher back in 1869. He was the first person to observe DNA but he did not know the importance of what he was looking at. In 1953 James Watson, Francis Crick, Maurice Wilkins, and Rosalin Franklin were able to figure out the structure of DNA and discovered that it was shaped like a double helix. They also discovered that the DNA contains the genetic information needed for replication and all aspects of life. 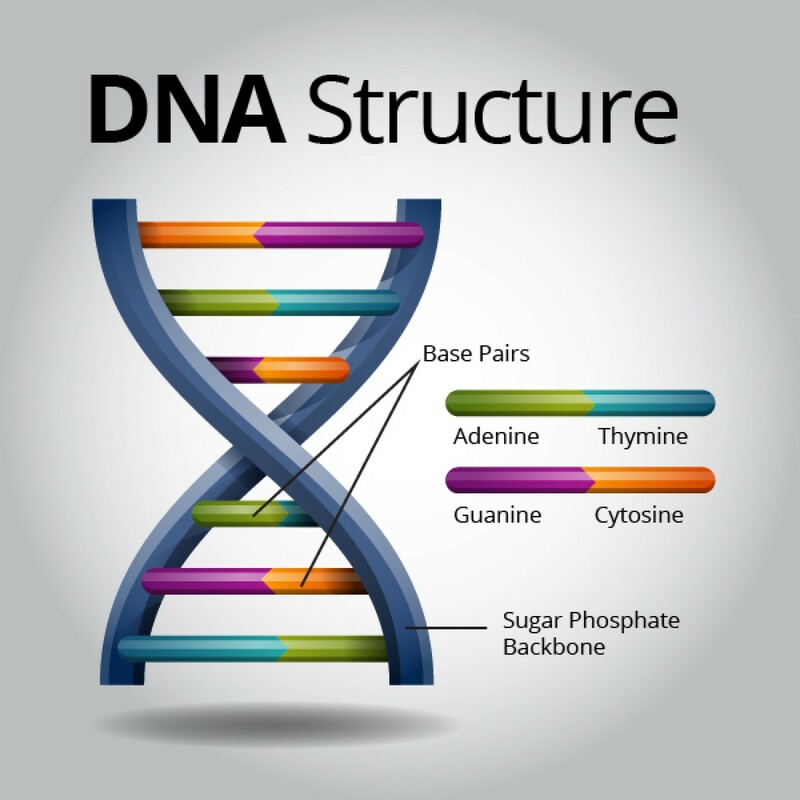 DNA researchers over the years have improved their knowledge of this structure. They are able to examine the different bases and pairs of DNA as well as their full sequence. Crick and Watson ended up winning the Nobile Prize for their work on DNA. At this period in time women were not considered to be scientists or belong working in the science field. Many experts feel that Franklin was not given the proper credit for her work with DNA. 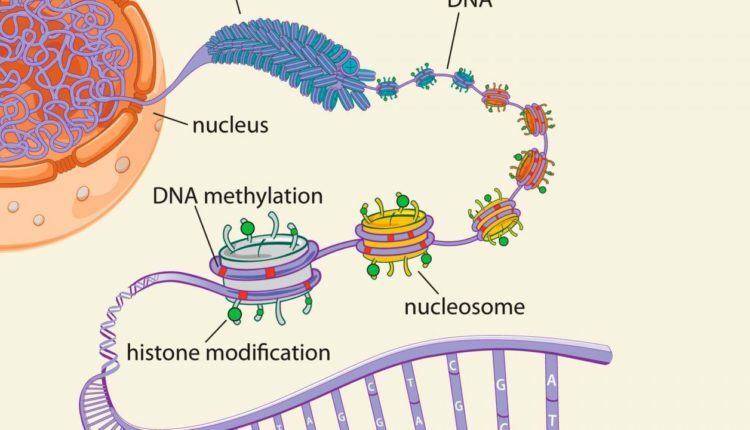 DNA is made up of what is known as bases. This is where the coding information is stored. The bases a AGCT which stand for adenine, guanine, cytosine, and thymine. DNA can have over 3 billion different combinations of these bases. While ever person has their own unique genetic code 99 percent of the bases are the same in all people. The different sequences determine different characteristic of a person and these bases are arranged in many different sequences. The bases in the DNA structure pair up with each other. A and T are able to pair up while C and G form a pair. Each of the bases also contain a molecule of sugar as well as a molecule of phosphate. Together the DNA base, the sugar, and the phosphate form what is known as a nucleotide. The nucleotide arrange themselves in a ladder like structure that is known as the double helix. Since the cells in the body die they need to be able to make copies of themselves so that a person can live and be healthy. DNA is also able to replicate itself. Each stand of the DNA helix can divide into a new cell. The new cell will have the same extract copy of DNA as the previous one. This will keep the genetic information in a person the same and they will not change as the DNA duplicated. The DNA has the instructions that the body needs in order to grow and develop. Without DNA the body would not be able to grow, reproduce, or carry out basic life functions. The sequences in the DNA are translated into messages that the body can use and understand. This is then used to produce proteins which do more of the physical work in the body. Each of the protein sequences are known as genes. The human body has over 1 million different genes. The gene only makes up a mere one percent of the sequence of the DNA. To make these proteins the DNA undergoes two specific steps. Enzymes in the body will read and translate the information found in the DNA. It will then be transcribed into messenger ribonucleic acid which is also simply known as mRNA or messenger RNA. This information is translated into amino acids that the cells are able to understand use. These acids are the building blocks that make proteins. The order on which these amino acids are arranged is very important. The different arrangements will make different proteins. The human body has over 20 different types of amino acids and they can be used to form thousands of combinations of proteins. The expression of genes and traits is due to the DNA. The traits that are influenced by this DNA are located in a part of the chromosome that is called the chromatin. This is where the genes expression will take place. The different combination of bases will help determine the characteristics that a person has. DNA is passed down from the parents to the children. The child will not have the extract same copy of DNA as their parents but they will be similar. Many people are interested in their heredity and their family lines. DNA can help a person find out information about where they came from and the history of their family. A person can get a genetic test. When a genetic test is performed a person will have the skins of their cheek swabbed. This information is then examined to see the different combination of bases and gene expression. A person can learn about their ethnic makeup and where their family origins came from. When a person has their DNA tests they can also find out if they are carriers for any genetic disorders. The DNA test can tell a person if there are mutations in the DNA. These mutations may lead to serious health conditions that they may pass onto their children. A person can also learn if they are at an increased risk for conditions such as cancer by having their DNA carefully examined. Paternity is a sensitive issue. Parents pass their genetic information onto their children. If a child has similar DNA it can prove that a person parented the child. When there are issues of paternity DNA testing is used to determine who the parent (in most cases the father) of the child is. DNA is an amazing structure that keeps the human body going. Every cell has the DNA needed to make an exact copy of a person. DNA gives people their characteristic and is the code for life.